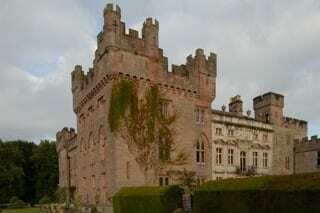 Today Hutton-in-the-Forest reflects centuries of history and change. A house of six periods between the mid 14th and the mid 19th centuries, Hutton is a rich illustration of the development of the country house in the North of England. 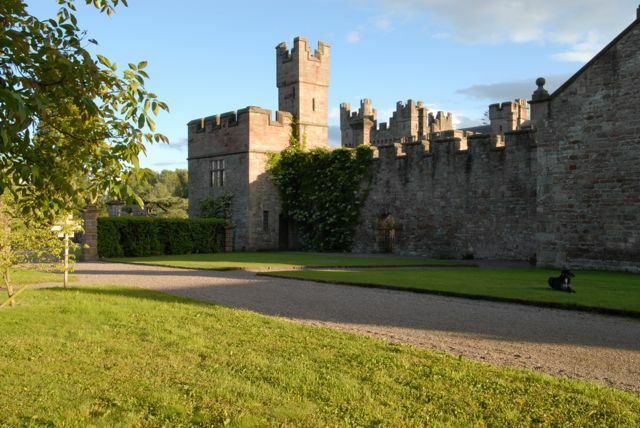 The Pele Tower was built in the time of the de Hoton family. 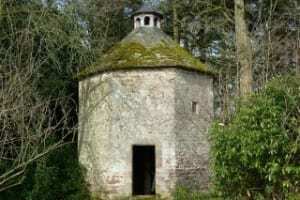 It is one of many pele towers built in Cumberland by wealthy families, who were highly aware of the threat from the Scots to the north. The Pele Tower originally had a moat. The Gallery was built in the time of Sir Henry Fletcher 1st Bart. Designed by Alexander Pogmire, the Gallery was built over an open arcade now known as the Cloisters Tearoom. Its columns are classical but strangely naive with a variety of decoration. 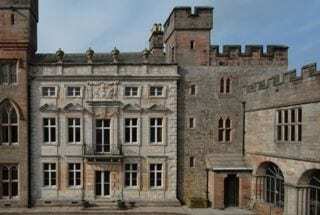 The East Front was built in the time of Sir George Fletcher 2nd Bart. Light, classical, almost rococo; this renaissance facade is a tour-de-force. The light coloured stonework and the delicate classical features contrast dramatically with the rest of the building. 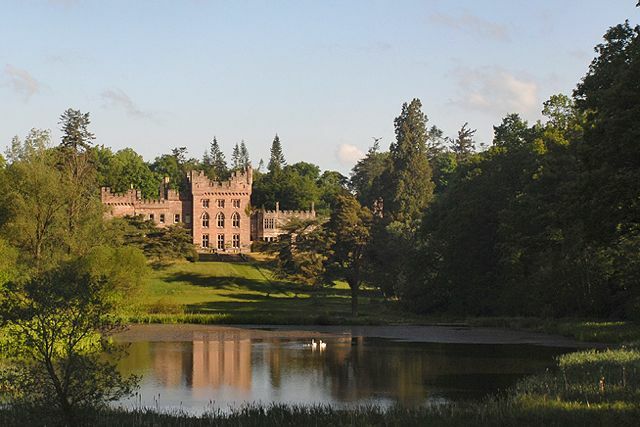 It was built by Edward Addison, almost certainly to the design of William Talman, architect of Lowther Castle, where Addison was clerk of works. The house today remains essentially as it is portrayed in Kip’s famous and delightful engraving of 1705. The second Gallery Wing was probably never built, although there was certainly a substantial building on the southern side of the courtyard. 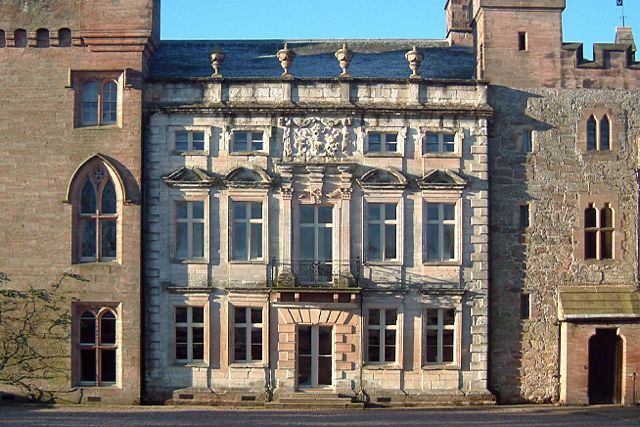 During the 18th Century, very little was done to the exterior of Hutton and the building as a whole suffered from some neglect. 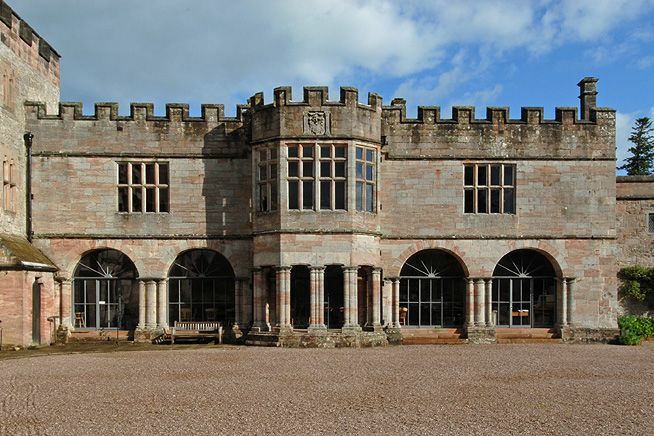 The South Front was remodelled in the time of Sir Frederick Vane 2nd Bart. 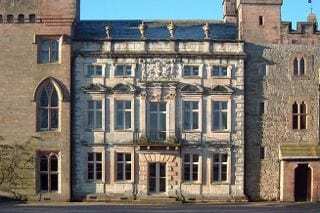 The appearance of the South Front, overlooking the Terraces, was significantly altered at the beginning of the 19th Century. 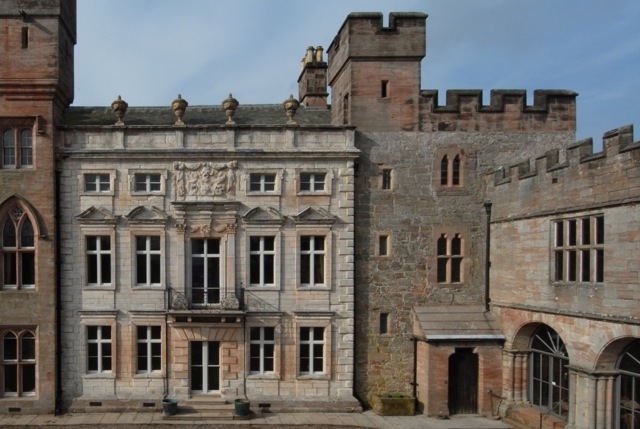 The round-headed windows were the work of the architect William Nixon of Carlisle and the castellations were added later in the century by Anthony Salvin. 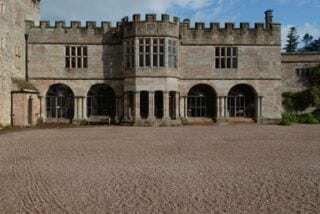 The well known Victorian architect Anthony Salvin was commissioned with George Webster of Kendal in the 1820s to undertake a major programme of restoration and change. He produced designs for the South East Tower which transformed Hutton into the building we see today, full of contrasts, mystery, surprise and excitement – a ‘Grand Design’ in effect, retaining the best of the old and adding some new elements. 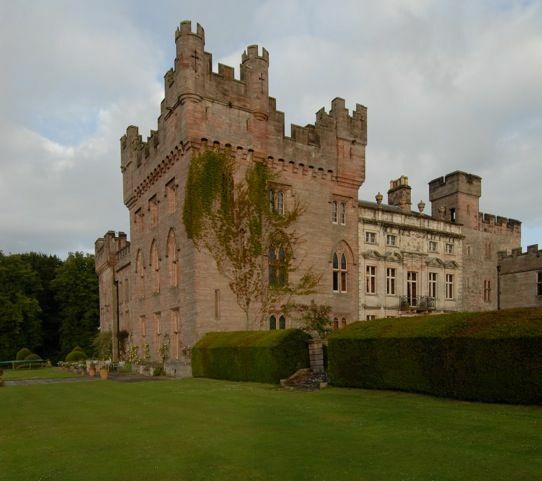 This imposing neo-gothic tower balances the Pele Tower with a number of romantic medieval flourishes that were Salvin’s trademark. A late 19th Century conceit commissioned by Lady Vane (Margaret Gladstone) who records that ‘it was my gift to the old house’. 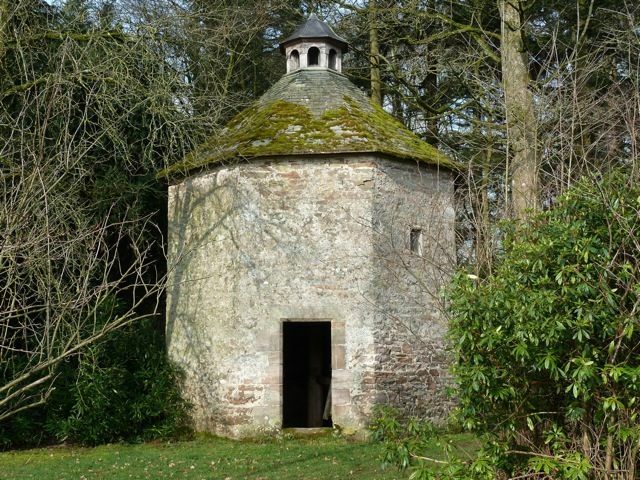 The Dovecote was built in the second half of the 17th Century to provide pigeon meat and eggs, and the manure was an important fertiliser. It accommodated 400 birds and contains a ‘potence’ – a revolving ladder to reach the nesting boxes.